This comprehensive set of Columbia area images includes 146 prints from periods ranging from 1865 to 1980. The collection was amassed from various long time photographers in the community such as John A. Sargeant, Charles Old and Walter Blanchard. 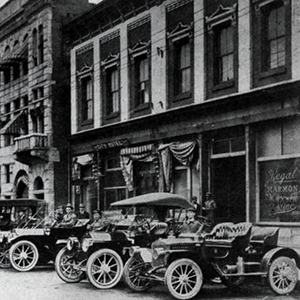 They operated studios in the city from the period c. 1915 through 1960. The images include street scenes, buildings, special activities, and related subjects. Most of the collection consists of copies from original prints. It was donated to the SC State Museum in 1988.